Join PowerMyLearning on June 20th, 2018, for an evening of delicious foods, drinks, and gorgeous views of the Hudson River, while learning more about our work and impact in schools across the country. 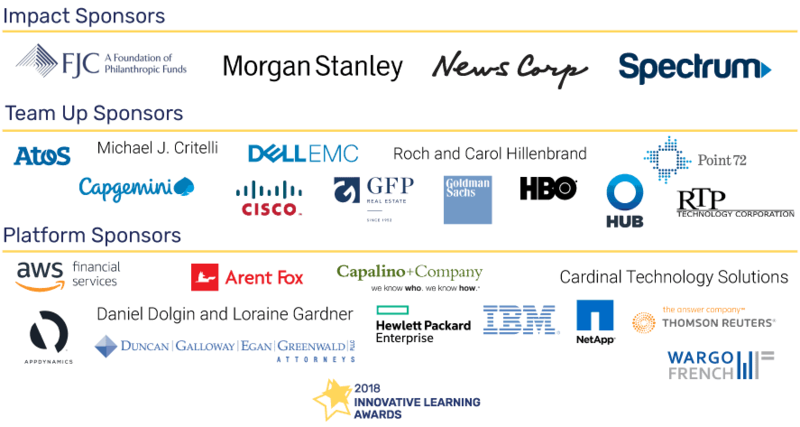 Approximately 300 professionals will join us at PowerMyLearning’s annual fundraising gala celebrating our impact on students, teachers, and families across the country. 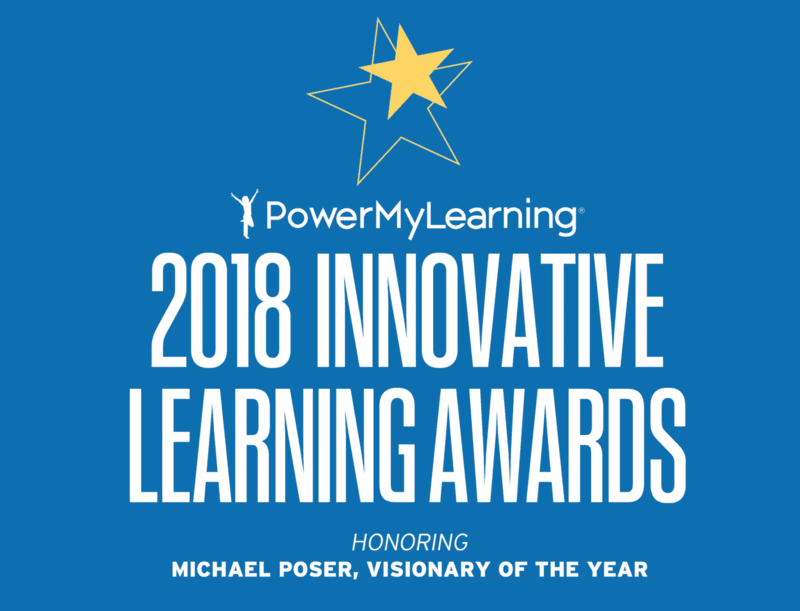 We will pay special tribute to our PowerMyLearning Triangle Awardees – an exceptional student, teacher, and parent from one of our partner schools – as well as to our Learning Pioneer, Jaime Casap of Google, Inc., and our Visionary of the Year, Michael Poser of Morgan Stanley. The event is also a wonderful opportunity to acknowledge the corporations, organizations, and individuals who make our work possible. Become a sponsor and join PowerMyLearning as we seek to ensure that every child has the tools they need to succeed. Early support from individuals and corporations will ensure this is the strongest event to date. Be sure to commit early so you can be included on the event invitation! Click here to learn more about PowerMyLearning’s work. Michael Poser is a Managing Director and Chief Information Officer for Enterprise Technology & Risk in Morgan Stanley’s Technology division. He is responsible for the architecture, engineering and operation of core infrastructure and end user technologies in addition to leading technology business development. He also oversees the Firm’s technology risk function and manages application production management and quality assurance. Michael has an M.B.A. from the Stern School of Business and a B.S. in computer science and economics from New York University. He is Co-Head of Morgan Stanley’s Technology Diversity Committee and serves on the New York City Board of PowerMyLearning. Jaime Casap is the Education Evangelist at Google. Jaime evangelizes the power and potential of technology and the web as enabling and supporting tools in pursuit of promoting inquiry-driven project-based learning models. Jaime collaborates with school systems, educational organizations, and leaders focused on building innovation and iteration into our education policies and practices. He speaks on education, technology, innovation, and generation z, at events around the world. In addition to his role at Google, Jaime serves on a number of boards for organizations focused on education, innovation, and equity. Jaime teaches a 10th grade communication class at the Phoenix Coding Academy in Phoenix and is an adjunct professor at Arizona State University, where he teaches classes on policy, innovation, and leadership. You can follow and reach him on Twitter at @jcasap. We will honor a TBA Student of the Year who will present an award to the Teacher of the Year and Parent of the Year as part of the PowerMyLearning Triangle Award. Check out this short video to learn more about our work with schools, featuring our 2017 PowerMyLearning Triangle Awardees – Jaylen, his mother Deshia, and his teacher Ms. Arenas.